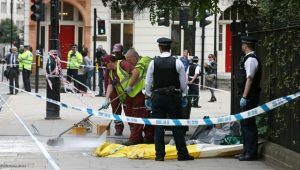 An elderly woman who was stabbed to death by a 19-year-old in central London Wednesday evening was identified by police officials Thursday as an American citizen. 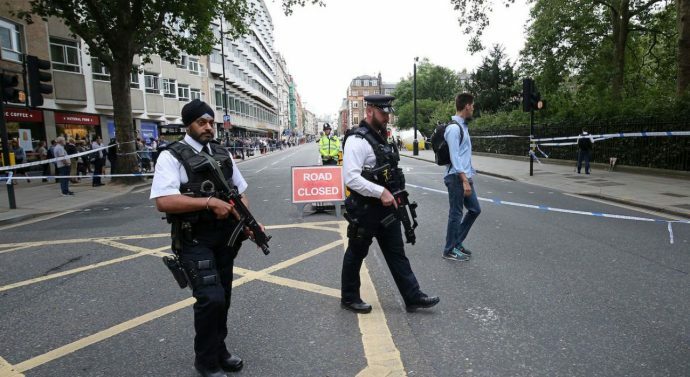 Metropolitan Police spokesman Mark Rowley told reporters that the suspect’s “mental health is a significant factor in this case” and there was no evidence of radicalization in the attack. Officers were called to Russell Square for a report of a man with a knife at around 10:30 p.m. local time (5:30 p.m. ET). Rowley said the woman who died was in her 60s. Another woman and four men were injured. Rowley identified the injured as Spanish, Israeli, Australian and British citizens. The suspect was arrested after police deployed a Taser. The conditions of the injured victims were not immediately clear. 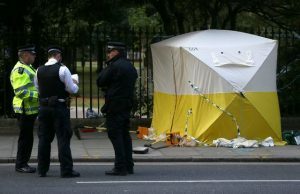 Early Thursday, the Metropolitan Police’s homicide unit was leading the investigation, with assistance from counterterror officers. 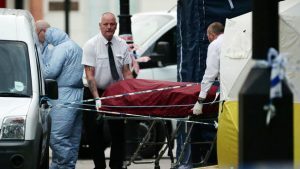 Taxi driver Paul Hutchinson told Sky News he saw a body lying in the street opposite the Imperial Hotel, located on the southeastern corner of the square. 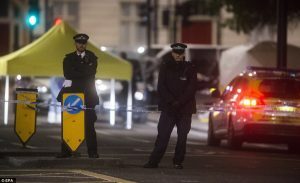 The stabbing spree came hours after police announced that an additional 600 armed officers would be deployed across London following recent terror attacks in continental Europe. “We ask the public to remain calm and vigilant and alert,” the police statement concluded. Russell Square, located near the British Museum in the Bloomsbury section of London, is close to the site of two of the four terrorist bombings that killed 52 people on July 7, 2005. Currently, the United Kingdom’s terror threat level is set at “severe”, meaning an attack is “highly likely”. However, since the 2005 bombings, Britain has been spared mass casualty terror attacks of the type recently seen in Paris, Brussels and Istanbul. However, earlier this week, Metropolitan Police chief Sir Bernard Hogan-Howe warned a terror attack in the U.K. was a case of “when, not if”. Counterterror police are also probing the attempted abduction last month of a Royal Air Force serviceman at knife-point from a road near a base in eastern England.